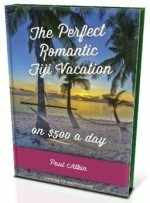 Want an affordable far flung Fiji island paradise for your getaway? Discover Moody's Namena isolated on it's own island away from all the worries. - Who does Namena suit? Transfer: domestic transfer from Nadi International Airport to Savusavu Airport, Vanua Levu. Then taxi transfer to Copra shed Marina, Savusavu. Finally sea transfer to Namena Island. Who does Moody's Namena suit? 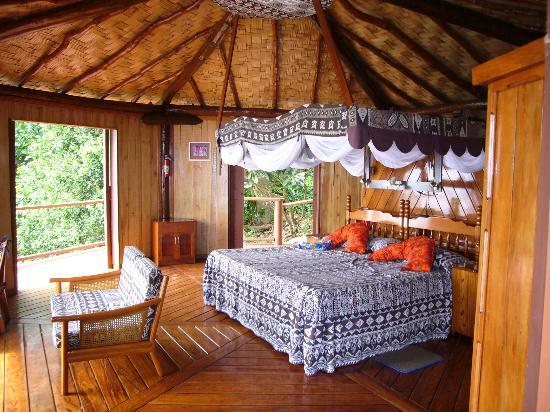 Moody's Namena is an affordable couples eco-retreat. 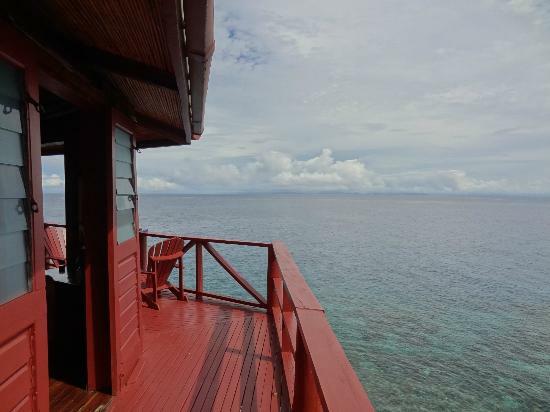 Those wanting an isolated island getaway surrounded by pristine nature, on land and off, Namena is it. 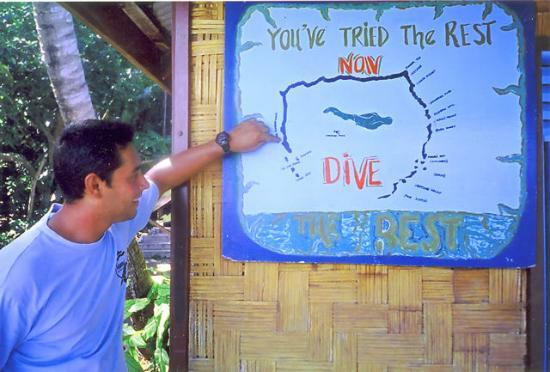 Divers especially will love it finding the diving world class. 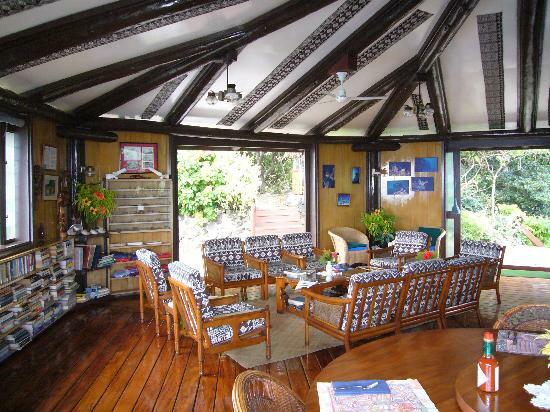 You will discover the Fijian experience with genuine warm hospitality. It won't suit families since children under 16 aren't allowed and each bure sleeps just two with a king size bed. Those wanting plush 5-star service while sitting on a beach chair sipping on an umbrella drink won't like Namena. 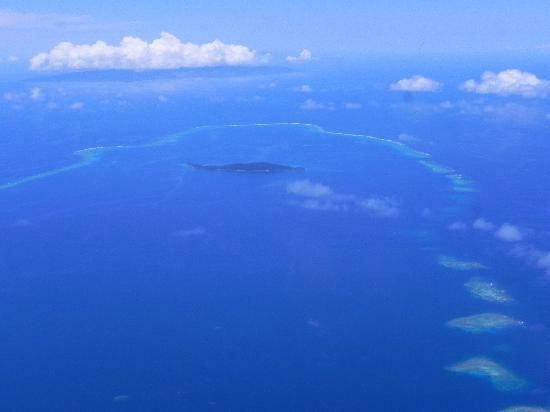 Namena Island is located 25km off the south-eastern coast of the second big island, Vanua Levu. 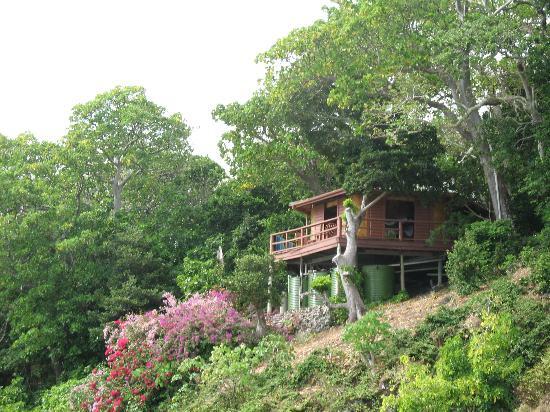 The 110-acre unspoilt island refuge sits on Namena Barrier Reef, a protected reserve. 10 acres is set aside for the resort. The dragon-shaped island has several white sandy beaches on the fringes and rises up in a hilly formation in the middle. Namena is a private island and off limits unless staying at it's sole resort. Double check that your international flight arrives at Nadi International Airport. Then you need to organise a domestic transfer to Savusavu Airport on the second big island, Vanua Levu. Your options are the domestic carrier, Pacific Air, or through a chartered small plane. Visit our Transport in Fiji page for information. Secondly, you need to get from Savusavu Airport to the town Savusavu. Fortunately, this is organised by Moody's Namena with a local taxi. The airport is just 3km south of the town, and you will to be dropped off at the Copra Shed Marina. Lastly, a 1-hour small high-speed boat transfer to Namena Island is a scenic 40km journey which is subsidised by the resort. Savusavu is a pretty town with lots to do. Some decide to spend some time here either before or after going to Namena. All 6 hexagonal bures are perched on a ridge with ocean views. Each is spacious having a king size bed, with a mosquito net, and his/her bathrooms. Lighting is from solar energy, also having gas lamps. An outside deck makes for great views over the ocean. Bear in mind, all the bures are 30 years old. The water for the bathroom are collected from rain water, so quick low pressure showers are the order of the day. Dining is communal and at the clubhouse. Many fruits and vegetables are grown on the island, and the kitchen bakes bread, pastries, and cakes daily. Alcohol is not on a per-glass but per-bottle basis. Due to Namena's remote and small nature, it's alcohol stock is limited. Either notify the resort prior to arriving or simply bring your own via the duty-free section at Nadi International Airport. Diving and snorkelling are the prime attractions here. Due to Namena's eco-wonderous island, nature hikes and birdwatching are also fantastic options. Excellent snorkelling can be done straight from the beach which is a quite rare. There are wonderful hard and soft corals to be seen. You will likely have the beach to yourself. Snorkelling can also be done further out. Given Namena Island sits on Namena Barrier Reef, diving is world class and many sites are just a 10-minute trip from the resort. There is a 5-night minimum stay and that will set you back US$1,075 + 20% tax per person. All rates include food & snacks and both-way transfers to/from Savusavu Airport. Not included are alcohol & carbonated beverages and scuba diving.